Let’s not kid ourselves; conventional economic policy has failed us. The world economy is looking increasingly bleak, there is massive upheaval in Europe, debt problems haven’t gone away and the US is staring down the barrel of a gun in the 2016 Presidential Election. I think to myself, if only they had listened, if only they had listened! Many great scholars have been warning of these problems for years and years, the debt, the devaluation of the currency, the degradation of society! The Fed! I am of course talking about Ron Paul, otherwise known as Jesus. His analysis, or should I say ‘prophecies’, have been echoed by many distinguished figures such as his son Rand Paul, Peter Schiff, Ron Swanson and countless other intellectuals who roam the internet spreading his ‘teachings.’ You see what people fail to realise is that by taking an ideology to the extreme, not compromising on any issue or refusing to bow to data and empirical analysis dreams can be accomplished, sort of like Socialism but not. Imagine a world where the environment was safely protected, even though we still used fossil fuels and dirty energy (let’s not get ahead of ourselves though, climate change is a hoax perpetuated by the globalists), a world where drugs like cocaine and heroin were legal and sold on the streets next to where the children played. Out with all the burdensome regulations and rules that hold us back as individuals. We’d be able to solve complex environmental issues and catastrophes, like the bleaching of the Great Barrier Reef and Coal Steam Gas simply by enforcing strong Property Rights under the Coase Theorem! The government would finally stop punishing us with the burdens of free healthcare, education and basic services. I reject the notion that we should be forced to have and pay for good public healthcare. It is no wonder that those who rallied against Obamacare in the US were some of the poorest and most poorly educated citizens, as these were the people who understood this value of self-sufficiency… regardless of whether or not they could actually afford healthcare. After all, regardless of whether or not these services are beneficial is irrelevant, they infringe on our right to freedom of obliviousness. 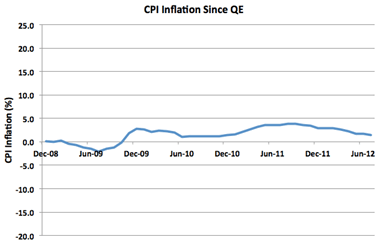 A world where we base our monetary policy and entire economy on this one asset. You might worry about things like selling off airport security, but you’d be surprised. Did you know that private companies will have an incentive to provide the most efficient and effective security they can which will be way more effective than anything a government can conjure up! Because markets! Essentially private companies are good because they are and anything run by the government is bad. They totally won’t just try and find ways to cut costs in a drive for efficiencies to increase profits that we’ve seen countless times in the past. Why? Because crack-pot libertarian theory says so and if an ideology says so than it must be true regardless of facts, or ‘anomalies’ if you will. This also leads on to the issue of government surveillance and counter-terrorism measures. You might think unwinding such measures may put society at risk in an increasingly radicalised geopolitical outlook. You would be wrong because Benjamin Franklin once said “Those who would give up essential Liberty, to purchase a little temporary Safety, deserve neither Liberty nor Safety.” And if a US Founding Father from 200 years ago said something, then that my friends is gospel! Minorities and other disadvantaged groups also stand to benefit from a more libertarian minded society. Did you know that if we remove all labour regulations than businesses will finally be able to hire from disadvantaged groups like ‘the women’ and ‘the refugee’ creating more jobs! By trying to take a misdirected moral high ground on the issue we are denying these groups the ability to get a decent $5/h paying job. But wait! There’s more! The biggest issue of all! Did you know that currencies around the world have all been severely devalued since the 1970s and that since then the international economy is far less stable!?!?!?! The fact is the devaluation of the dollar is bad and this is bad because reasons. The government has been inflating away our wealth for years! Exacerbating wealth inequality that would definitely not occur under an unrestricted economy anyway. A return to the gold standard would easily fix all of these problems. How I hear you ask? Well it’s really simple! All you have to do is suspend any sense of monetary reality and refute the standard arguments against the gold standard i.e. 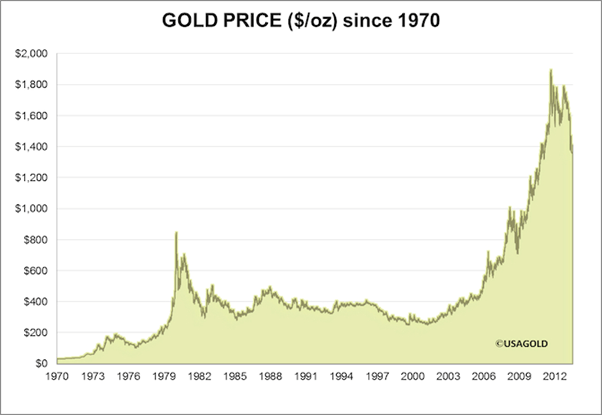 Forces monetary policy into contractionary stance during recession due to gold outflows to countries with relatively high interest rates, thus contracting money supply. That it leads to speculative attacks on currency, adds to financial contagion, there not actually being enough gold in the world to support modern money supply or the very asset that we are putting our faith into bringing stability being extremely volatile. ONCE we refuse to accept any of these points then we are getting somewhere. 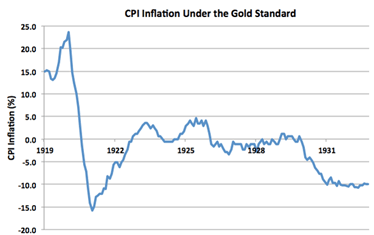 All we have to do is have a good look at the CPI data under our data under the current monstrous monetary regime and then our data from back when we had the Gold Standard. That’s a knowledge bomb right there! Did you know there are other benefits of being a Libertarian? Because your knowledge of the economy can just boil down to the invisible hand fixing everything and markets correcting themselves you have a lot of flexibility when it comes to expressing your opinions. It allows you to disregard the existence of any actual empirical data and instead just state random idioms in conversation and rhetorical questions in arguments. Notice how I actually haven’t included much economic analysis in this article to support my arguments and it’s mostly been a rhetoric laced rant? You can refute entire schools of economic theory based solely on your knowledge from internet forums and Ron Paul videos. And if that is not all you can base entire arguments around flimsy grandiloquence and pseudo-intellectual talking points designed to stroke your own ego, putting forward eloquent but ultimately hollow substantive points. So why not give it a try and have fun with the magic of it all!